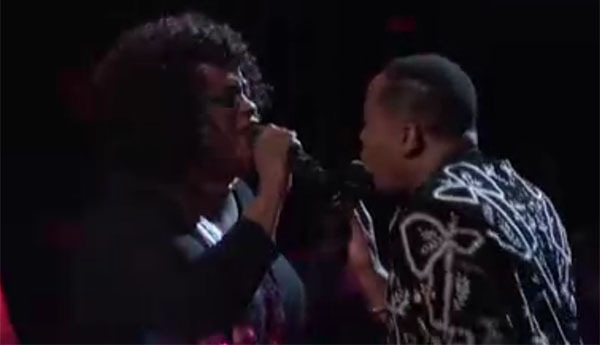 Tish Haynes Keys and Rayshun LaMarr from Team Adam performs “Sweet Thing” on The Voice Battle Rounds on Monday, March 19, 2018. “I would love both of you on my team,” said Kelly Clarkson. “I got to say, it’s pretty equal,” said Blake Shelton. “Rayshun is really special and really fresh, Tish you come out powerful and tender,” said Alicia Keys. Watch their performance on the video below. The winner of this battle is Rayshun LaMarr, Kelly Clarkson steal Tish Haynes Keys. The Voice Battles airs on Monday and Tuesday at 8/7c on NBC with Adam Levine, Blake Shelton, Kelly Clarkson and Alicia Keys as judges; Carson Daly as host.